Ethan Zakes was born a healthy baby in the year 2000. There were no outward visible signs that he was anything other than a perfectly healthy baby boy. Unknowingly, Ethan was born with ALD, a genetic disease that results in the bodies inability to metabolize very long chain fatty acids. Over time, the accumulation of these very long chain fatty acids causes problems in the brain and adrenal glands. Like all other babies, Ethan received a heel prick shortly after birth and his dried blood spots were sent to a lab for testing. Unfortunately, in 2000, there was no test available to screen for ALD. Ethan continued to develop as a healthy, normal young boy. He received good grades, was active in sports and was an avid and talented skateboarder. It wasn’t until Ethan was approximately eight years old that his family noticed that he was having challenges focusing on school work and staying on task with daily assignments. Ethan was incorrectly diagnosed as having Attention Deficit Hyperactivity Disorder (ADHD). ​Ethan’s family spent nearly two years trying different medications and meeting with various specialists to try and resolve his symptoms. Tragically, during this period, the ravaging effect of ALD were continuing to damage Ethan’s brain and adrenal glands. It wan’t until Ethan started to show initial challenges with balance and coordination that his pediatrician suggested that Ethan receive a CT scan. The results of the CT scan showed significant damage to the white matter in Ethan’s brain and further tests ultimately confirmed that he had ALD. Had Ethan’s family simply known at the time of birth that he had ALD, he could have been monitored for brain irregularities and received a stem cell transplant before becoming symptomatic. Case studies have shown that young boys born with ALD, can go on to live long-term, normal and healthy lives if they receive effective stem cell transplant therapy before becoming symptomatic. Ethan received a stem cell transplant, unfortunately, his disease had become too advanced to reverse its course. While in the hospital, Ethan lost the ability to walk and speak. With family at his side, he passed away at the age of 10 years old on May 11, 2011. 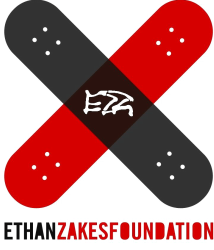 In memory of Ethan's life, Brad and Nancy Zakes established the Ethan Zakes Foundation to pursue newborn screening for ALD. Born as a beautiful, healthy baby boy. Developed normally as an engaging, active young boy. Attended school, received above average grades, had a large circle of friends, involved in skateboarding, Boy Scouts, various sports and many activities. Continued to maintain above average grades, but teachers expressed concern with inattentiveness and trouble following written directions. Incorrectly diagnosed with Attention Deficit Disorder (ADD). Prescribed medication for ADHD, but did not show improvement. Continued to be involved with activities and sports. Pediatrician ordered an MRI, which showed white matter abnormalities in the brain. Three possible explanations were given: Severe brain infection, cancer or ALD. Ethan enters Seattle Children's hospital for treatment. Undergoes a stem cell transplant procedure through the outstanding efforts of doctors, nurses and staff at Seattle Childrens Hospital and the Seattle Cancer Care Alliance. Although the transplant was successful,the progression of the disease had become too advanced to reverse its course. During his hospital stay, Ethan lost the ability to walk, talk and use his hands. Ethan returned home from the hospital. Ethan passes away with family at his side at the age of 10.